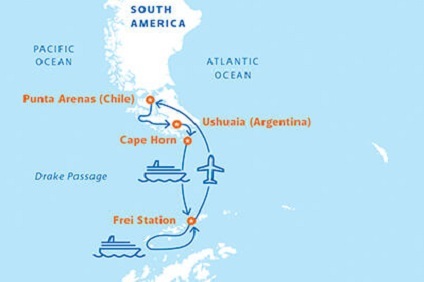 10 Night Cruise sailing from Ushuaia roundtrip aboard Magellan Explorer. 4 Night Cruise sailing from Ushuaia to King George Island aboard Ocean Nova. Finishing with a flight to Punta Arenas for a 1 night hotel stay. 1 night hotel stay in Punta Arenas before flying to King George Island to board Ocean Nova. Enjoy 5 nights cruising from King George Island roundtrip. Return flight to Punta Arenas for a 1 night hotel stay post-cruise. 1 night hotel stay in Punta Arenas before flying to King George Island to board Magellan Explorer. Enjoy 5 nights cruising from King George Island roundtrip. Return flight to Punta Arenas for a 1 night hotel stay post-cruise. 1 night hotel stay in Punta Arenas before flying to King George Island to board Ocean Nova. Enjoy 7 nights cruising from King George Island roundtrip. Return flight to Punta Arenas for a 1 night hotel stay post-cruise. 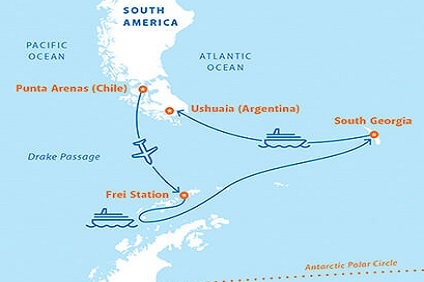 4 Night Cruise sailing from Ushuaia to King George Island aboard Magellan Explorer. Finishing with a flight to Punta Arenas for a 1 night hotel stay. 1 night hotel stay in Punta Arenas before flying to King George Island to board Magellan Explorer. Enjoy 7 nights cruising from King George Island roundtrip. Return flight to Punta Arenas for a 1 night hotel stay post-cruise. 1 night hotel stay in Punta Arenas before flying to King George Island to board Magellan Explorer. Enjoy 14 nights cruising from King George Island to Ushuaia.